This is really something! Kind of disconcerting to see that hand reaching for that plane. Ha! oh hilarious - wow and so fast jumping in for the fun Sharon - so glad to see you straightened it up too. that gopher sure had to dig a long way to come up there. Oh how cute is this! Great fun - reminded me of the land of the giants tv programme from when I was a child. 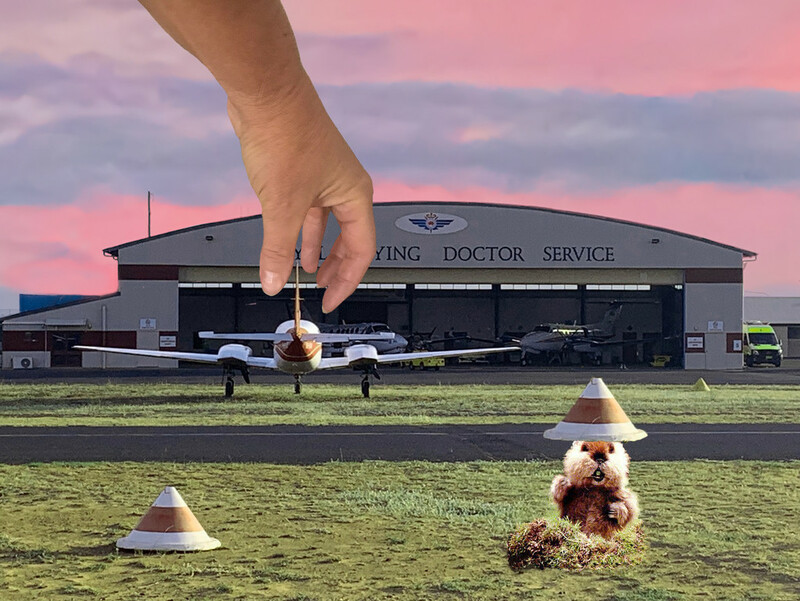 There's something distinctly Pythonesque about that hand reaching down to grab the plane and who doesn't love a gopher? Fun and cool edit.